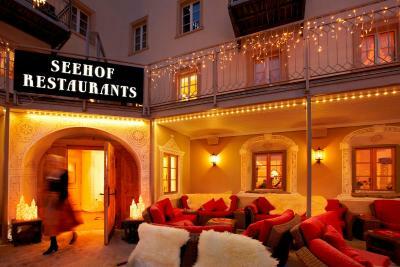 Lock in a great price for Hotel Seehof – rated 9 by recent guests! The personnel -- cleaning Team, Restaurant waiters, Drivers -- were helpful and accomodating. Bed was comfortable, windows could be opened to let in air. The breakfast was perfect, but every day they have to make a table for us, and two people are sitting at a five table people. The room was very smal and their was one chair on it we are with two in a room? Superb suite, beautifully furnished and enormous bed. Wonderful view from balcony. Maid, restaurant staff and reception staff all absolutely excellent. In room snacks and non-alcoholic drinks free. Great Breakfast.... Half-board dinner very good. Excellent location only 30 metres to the ski train to Parrsen ski area Facilities, restaurants and service was first class. Rooms we large and very comfortable. 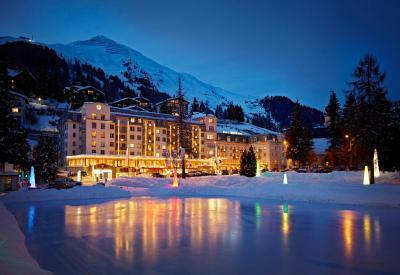 Would only stay at Seehof if I returned to Davos for skiing. we had a very pleasant stay in Seehof, we were travelling with 2 kids and level of comfort was very importaint for us, everything was perfect - very good clean rooms, we were even upgraded to a bigger size, special thanks for this ro Mrs Tanja Spiegelsberger, she kindly took care of our reservation and ski school reservations and all other importaint things during our stay, we enjoyed 2 restaurants inside hotel- very nice kitchen, good rich breakfast choice, great spa facilities with small wirpool pool, very good place - in front of hotel skating ring and u can rent all equipment there even to play hockey, parsenn lift is straight next door to the hotel, spar and farmacie- all 5 min walk, ski school next door, and kids ski lift 10 min walk. Hotel shuttle can take you free of charge anytime to the city center and another skilift- jacobshorne. Nice and quiet hotel. Great location for Parsenn but a long walk to all the shops and bars. From the first minute we walked to the hotel untill check out Good Bye all members of hotel's staff were attentive, welcoming, ready to be there for YOU anytime...Lobby is fantastic...centrepiece is a big fireplace..All interior is so relaxing . After a long walk in a cold weather when you sit by the fireplace having glass of wine OR just a hot tee listening to the piano it feels like you in heaven somewhere in the mountain. Service and facility truly 5 star. Friendly staff and sumptuous breakfast. A bottle of mineral water offered upon checkout is especially appreciated. Everything was perfect. 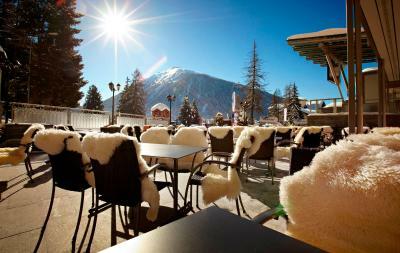 The location is outstanding, just a few meters away from the ski transport facilities. The hotel staff is extremely professional. 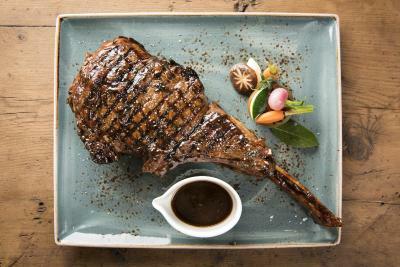 Great food at reasonable price in the hotel restaurants. Nice rooms. Highly recommended!!!! Hotel Seehof This rating is a reflection of how the property compares to the industry standard when it comes to price, facilities and services available. It's based on a self-evaluation by the property. Use this rating to help choose your stay! 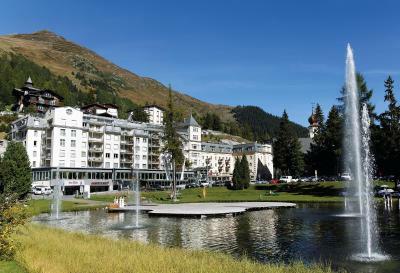 One of our top picks in Davos.Hotel Seehof is located on Davos' most famous street, the Promenade, next to the Parsenn Cable Car and with direct access to the ski slopes and hiking trails. 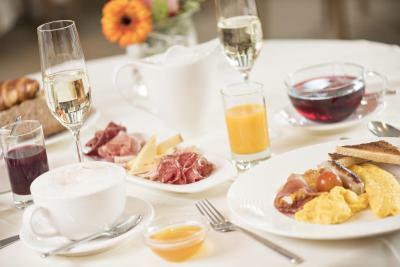 Guests benefit from 3 gourmet restaurants, a spa area, and free WiFi access. 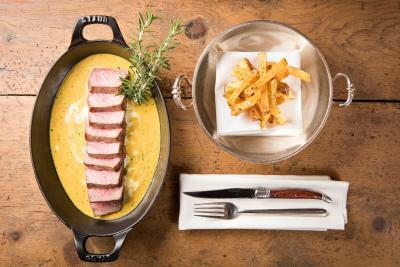 The Seehof's dining options include the Panoramarestaurant and the Restaurant Chesa Seehof. A rich breakfast buffet is served every morning in the conservatory. All rooms are elegantly furnished and feature cable TV, a seating area, and a mini-bar with free soft drinks. 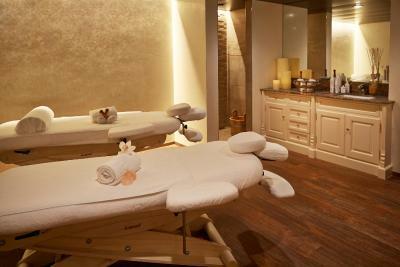 The large Bella Vita spa area offers 3 treatment rooms offering massages and beauty treatments, a sauna, a steam bath, a bio sauna, a hot tub, and a relaxation area with a fireplace. 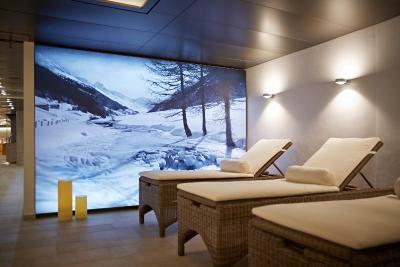 When would you like to stay at Hotel Seehof? Private parking is available on site (reservation is needed) and costs CHF 25 per day. This double room has a mini-bar, seating area and bathrobe and offers views of the nearby hillslope. This spacious double room features a mini-bar, cable TV and seating area. This spacious double room features a bathrobe, seating area and mini-bar. The balcony offers panoramic views of the surrounding mountains. This junior suite features a bathrobe, cable TV and seating area. 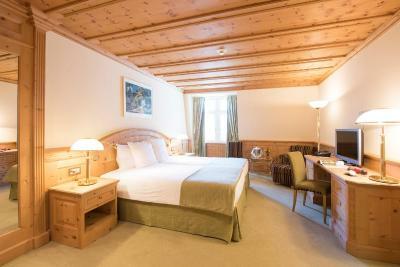 Some of the rooms are furnished with Swiss pine wood. This suite has a mini-bar, seating area and bathrobe, as well as a spa bath. This double room has a mini-bar, seating area and bathrobe. 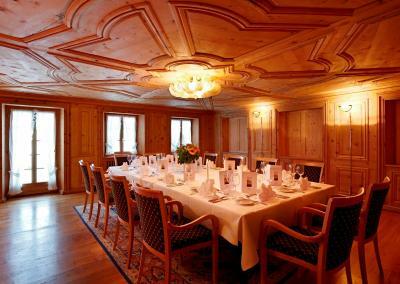 It is furnished with Swiss pine wood from the canton of Grisons. 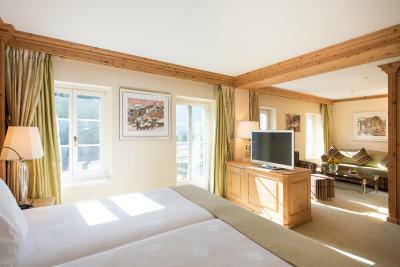 This double room has a cable TV, seating area and mini-bar and offers panoramic views of the surrounding mountains. House Rules Hotel Seehof takes special requests – add in the next step! Hotel Seehof accepts these cards and reserves the right to temporarily hold an amount prior to arrival. Please inform Hotel Seehof of your expected arrival time in advance. You can use the Special Requests box when booking, or contact the property directly using the contact details in your confirmation. WiFi did not work properly. Great location, excellent food, friendly staff. Their is no swimming pool we where not the first guest that thought there is one. Because some people came with childeren but after eight it is not possible with childeren. But naked people are walking around in whole the area and going naked in the whirlpool, I think thats not nice for the childeren. Wine could have been cheaper! 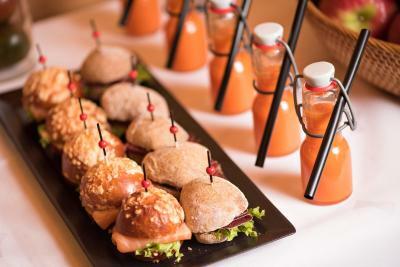 only thing we did not like was qualty of food in room service- burger was with raw meat inside and very poor quality and sosages were given in some awfull souce like boiled ketchup. and half of kilo of french fries aside - all for 100 chf. also you can never reach by phone room service- need to call to reception to ask to call them((( so i recomend not to use it at all and to go down to one of hotel restaurants. and another thing is not we did not like- just a suggestion - to arrange a kids room or kids club, for families with kids. Noice isolation could be better - the church is right in front of the hotel.